Hi! My name is Dawid and I want to tell you a bit about the project that I’ve been working on with a pack of my friends for some time now. 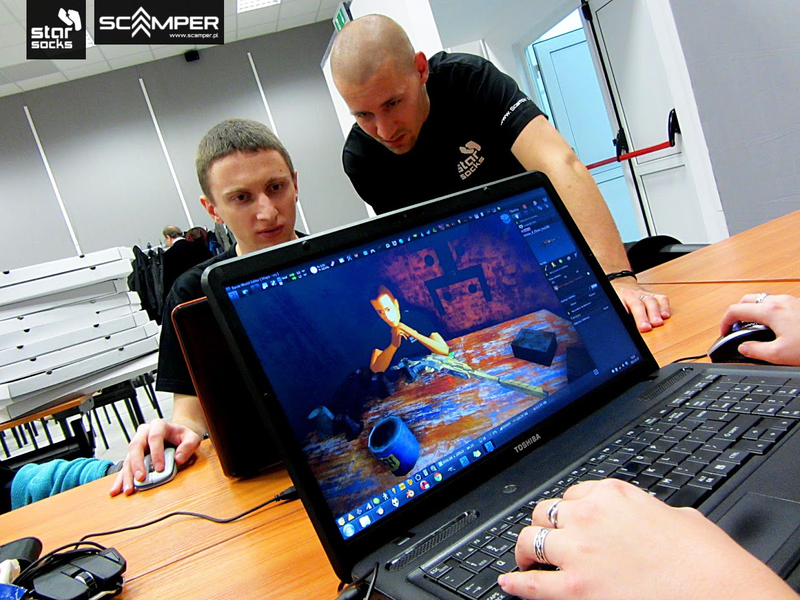 It’s called Scamper and it’s a cRPG game in a dark sci-fi world. The idea of making a game was born more than five years ago, when we were studying at university. University itself can teach you a lot, but it is usually only theoretical. That’s a big problem, because it’s impossible to learn from books how you can make a game. It’s better to practice with someone else after hours. Also, nowadays every company wants to employ people with real experience. Therefore, we formed our team with the idea to learn together. We gathered a few willing people and established the idea of the game. We set up an academic circle and we described all the details. Only then did did we realize how difficult a task we had set for ourselves. Creating the foundations of a game is not easy. It’s important to determine a lot of details that will unite in the whole. One of the most difficult aspects is to set the design and the camera. Both of them determine the work done by 2D and 3D designers. Same with the atmosphere of the game. Also important is good research, as it is the foundation for a successful project. We managed to gather inspiration from different places. We analysed a lot of concept art, movie screens, sketches and renders. Looking at other games was an absolutely must too. Those which inspired us the most were Fallout, Remember Me and Borderlands. It’s also important to mention film as a related field to the game industry. Here we were inspired by such creations as Blade Runner, Terminator and Ghost in the Shell. Tools are always a controversial topic! Everyone has preferences and habits. Right from the beginning we wanted to be able to share our game with fans legally. Hardly anyone can afford expensive tools, therefore, we chose Open Source and other free tools, and guess what? It’s possible! Moreover, in a graphic design with a little persistence you can do absolutely everything using just free tools. For 3D modeling, as you might guess, we used Blender 3D. And surprise surprise, it works great for modeling and painting textures too. The process of learning and levelling up your skills is not easy and it takes time and practice but the effects can bevery impressive. Moreover, the problem of matching textures disappears, because it’s done directly on the model. 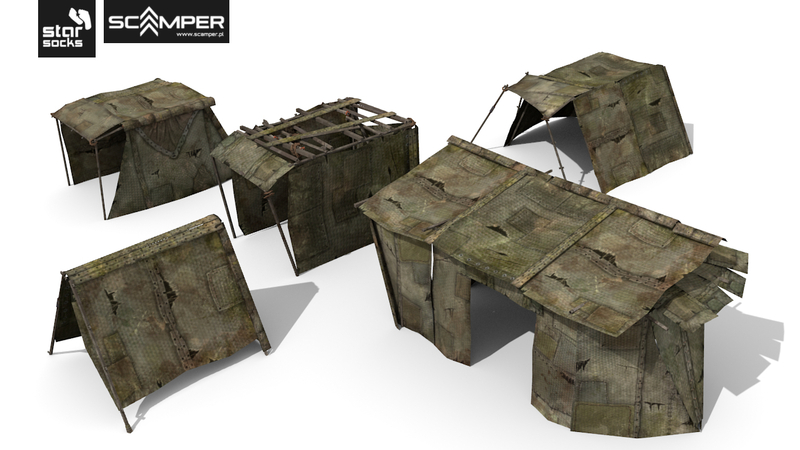 With a little support from GIMP you can quickly get a 3D model with all necessary textures. 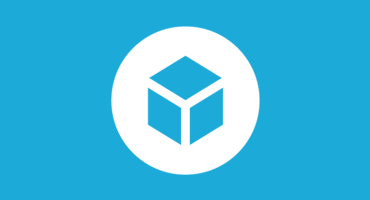 And where can you use Sketchfab besides for promotion? This may seem strange, but not everyone in the team does well with 3D programs. There are also illustrators, level designers and a lot of other people who sometimes need an explanation for something. You could teach them how to use Blender 3D but it’s easier to just show them 3D models in Sketchfab. Sharing a link is the quickest way to show, explain, and collaborate. If you’re new to game development or you’re developing your skills alone – try to find a team to work with. Learning with other people is definitely more efficient. Everyone is good at something and sharing knowledge makes it easier for everyone. Besides, it’s easier to motivate yourself when others are also working. Finally, if you decide to make a game with someone, don’t do the game engine. Developing it takes as much time as creating the game and you won’t have time for both of them! If you want to get somewhere don’t try to build a car from a scratch. For more information on Scamper, visit their website or follow them on Facebook.